Wild On Media provides the only signage visible on the horizon over the water and engages the public when they are less distracted from their surroundings. The message is remembered and not lost as often a case with billboards by the desensitized highways. We sail 7 days a week, 3 times per day. 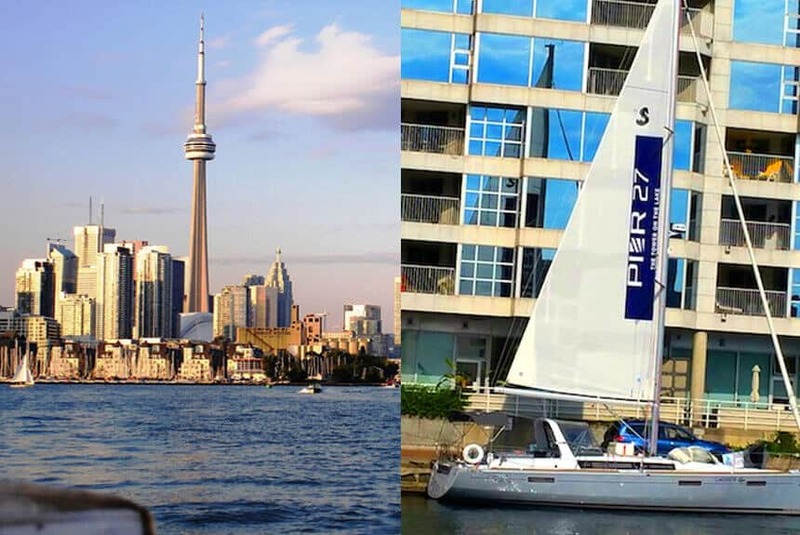 Our sailing route takes us across the Toronto waterfront, which means getting exposure from crowds at the Harbourfront, Sugar Beach, the Toronto City Centre Billy Bishop Airport, Cabana Pool Club, cruise ships and Toronto Islands. These one month or all-summer long campaigns draw natural attention and end up in millions of travel photographs for years. We reach over an estimated 38.5 million impressions each season. Better Than Just Billboards on Water! The sails are printed using high-resolution printing at 600dpi, which is 6 times the average billboard. The masts extend over 46-60 feet above the water and carry 600-900 square feet of sail area. This is over 4-6 times the height of a standard billboard and provides a 300-500% larger image. 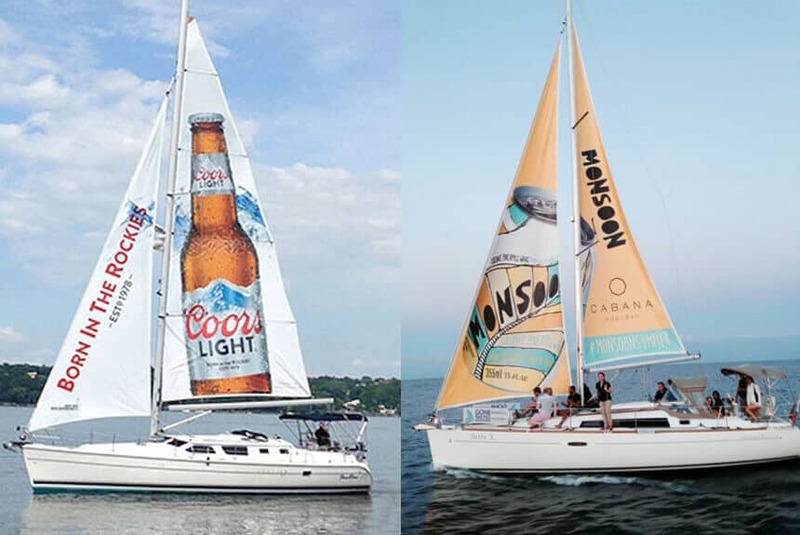 Imagine two different, yet highly detailed graphics on both sides of the sails capturing the attention of millions of people along the bustling waterfront. For an even bigger presence, the boat’s hull can be added for more graphics space when the sails are lowered! Our boats are the newest luxury yachts on the water. This means that while their sails get mass publicity, the yachts can be used for unique experiential campaigns! A select group of influencers or stakeholders invited to experience a product or service on the yacht is one cool way of reaching the target audience. Wild On Media’s street teams are amphibious beings who are as comfortable on the water as on the city streets!